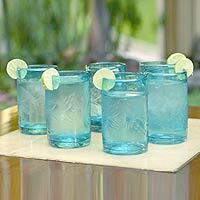 Do you ever wonder which glass to use for a particular drink? 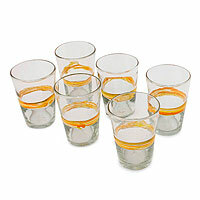 Or, if you do know which glass to use, do you sometimes wonder just what makes that particular glass the right glass? The title of this article is more than a clue to my attitude on the subject. But I enjoyed reading the Gizmondo article Which Glass to Use for Which Drink and Why because it makes it all perfectly clear. For example, it explains that stemware is used for wine and other drinks that don’t use ice but should stay cool, because the stem limits the need for you to put your warm hands on the bowl of the glass. It also makes the point that flat bottomed tumblers are ok for wine when it’s served at a table, because you can put the glass down and get your warm hands off it altogether. Because I have a core belief that the wrong glass is the right glass if it’s the one you want to use, learning this stuff may not have much effect on my choices But at least I’m now an educated scofflaw. I’m not a big wine drinker, but I do have pretty wine and martini glasses that I like to use for other things. For example, I love to mix orange juice half and half with sparkling water and drink it from a wine glass. It feels special that way. And, because it’s in a wine glass, I tend to sip it, rather than guzzling it all down at once. 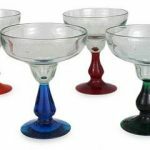 Martini, margarita, and champagne glasses are great for ice cream, sherberts, and other desserts. 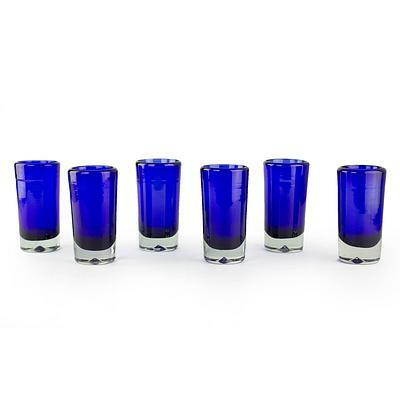 Even shot glasses, especially pretty ones, can be used as tableware. They make wonderful little individual salad dressing servers. And they also make great toothpick holders. 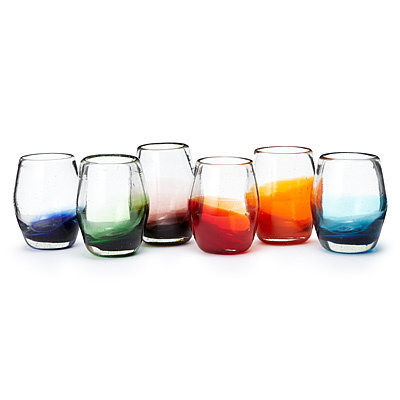 Since my mission is to present you with handmade alternatives to common mass-produced products, I’ve handpicked some beautiful handblown glasses of pretty much every type. 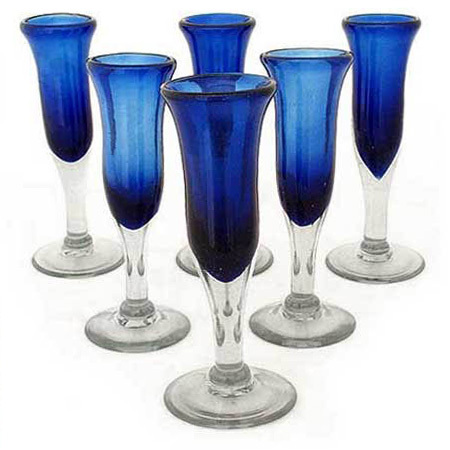 This glassware collection contains wine glasses, martini glasses, flutes, all purposes tumblers, and even some beautiful shot glasses. There’s a wide range in prices, with some of these handmade beauties costing no more than what you’d pay for factory made glasses in a big box store. So, to check out the whole collection, click here. 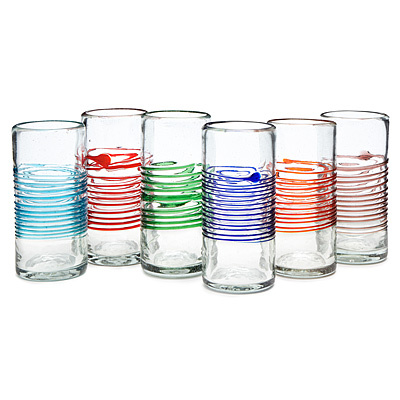 And you’ll find even more cool handblown glassware in Drinkware.